Christof Demont-Heinrich. Demont-Heinrich is founder, creator and editor of SolarChargedDriving.Com, which he launched in September 2009. A journalism professor at the University of Denver (DU), Demont-Heinrich is a lifelong environmentalist who loves to bird, hike, camp, and bike. As passionate as he is about the environment — and about promoting the synergy between solar power and EVs and PHEVs, he is equally passionate about writing. Demont-Heinrich worked as a journalist in the Greater Boston area for eight years, before moving to Fort Collins, Colorado in 1996 where he earned a master’s degree in English. Demont-Heinrich also holds Ph.D. in Communication from the University of Colorado, Boulder (2006). He teaches journalism, communication and culture classes at DU. His research focuses on language, culture, identity and globalization. Since starting at the University of Denver in 2005, he has written numerous articles for a number of different academic journals, including the Journal of Communication Inquiry, International Communication Gazette, and World Englishes. An avid biker who rode his bike across the United States with his sister in 1994, Demont-Heinrich regularly covers the 20-mile round trip between his home and the University of Denver on his bicycle. He is looking forward to logging most of his non-biking commute miles with a solar-charged EV! Anna Dreiling. Dreiling interned for SolarChargedDriving.Com from Sept. to Dec. 2011. She is a sophomore majoring in journalism and minoring in political science at the University of Denver. After graduating, she looks to pursue a career in backpack journalism, thus utilizing a variety of journalistic media and methods. A Colorado native, Dreiling grew up enjoying the beauty of the mountains, whether it was through horseback riding, camping, hiking, swimming or snowboarding. Dreiling is currently News Editor for DU’s student newspaper, The Clarion. Erin Holweger. Holweger worked as an intern for SolarChargedDriving.com from Jan. to June 2010. She graduated from the University of Denver with a major in journalism and a minor in political science and international studies in spring 2011. She is interested in traveling, writing, politics, and world affairs, and hopes to combine these into a career as a journalist or as a lawyer specializing in human rights law. A native Coloradan, Holweger enjoys the outdoors through hiking, camping, horseback riding, and snowboarding. She started skiing at the age of four and is especially concerned about the effect that excessive production of greenhouse gasses is having on the changing climate of the Colorado high country. Holweger is particularly interested in environmental issues of the West, including water conservation, sustainable growth and development, and renewable energy to reduce dependence on fossil fuels from foreign and domestic sources. Jenna Johnson. Johnson interned for SolarChargedDriving.com from Jan. to March 2011. She is a junior at the University of Denver, and is majoring in both journalism and Spanish, with a minor in marketing. She also takes photography classes at the university and hopes to some day be a photojournalist, with a focus on writing about environmental and social issues. She also hopes that her career will enable her to travel around the world, especially to Spanish-speaking countries where she plans to write in Spanish as well. Johnson is also interested in biology and wants to write about and photograph/film animals in their natural environments. She is originally from a suburb of Minneapolis, Minn. She chose the University of Denver primarily because she loves the sunshine, the mountains, and being outdoors. Johnson has always been concerned with environmental issues and hopes that she can use her writing to inform the public and hopefully make a difference in the world. Claire Teylouni. Teylouni worked as an intern for SolarChargedDriving.Com from Sept. to Dec. 2010. She is a junior at the University of Denver, where she is majoring in environmental science. Teylouni enjoys reading books and newspapers, writing, and international affairs. She is originally from Concord, Mass., and this is the first time she has spent a long period of time outside of New England. Teylouni loves sports and the outdoors, and so takes advantage of the wonderful opportunities available when one has the mountains of Colorado for a backyard. She has taken a new interest in skiing, and hopes to go on many hikes this year and work her way up to summiting several 14,000 foot mountains. Morgan Tilton. Morgan Tilton is a senior at the University of Denver, and is majoring in Journalism, English, and Italian. Raised in Colorado’s southwest mountains, Tilton naturally loves the outdoors. She was skiing at age four, snowboarding by age 12, and since 2009 she has climbed 13 peaks at 14,000 feet. Her hobbies include hiking, camping, and yoga. She is excited to engage herself with environmental issues and learn more about solar energy as she writes for SolarChargedDriving.com, which she will be interning with from March to June 2011. Tilton has been a writer for the University of Denver newspaper The Clarion since 2008, and has contributed a variety of articles including news topics, entertainment, and lifestyles. Several of her creative writing pieces have been published in the Foothills Visual and Textual Journal in both the 2010 and 2011 editions. With a passion for writing, compassion for the earth, and optimistic drive, Tilton hopes to use her writing ability and journalism skills to help inform others and make a difference in the world. Brooke Way. Way worked as an intern for SolarChargedDriving.Com from Sept. to Dec. 2010. She is a junior at the University of Denver, and is majoring in journalism, with a minor in political science. Way hopes to bring political knowledge to a career as a broadcast news reporter. She is interested in becoming a journalist for a local news station, and hopes to cover stories relating to current events, world affairs, as well as entertainment news. Way is a native of Colorado, and enjoys writing for the University of Denver’s student newspaper, The Clarion. She likes visiting new places, meeting new people, and attending local concerts and performances around town. Way started dancing when she was ten, and is now on the University of Denver dance team. Johanna Zeller. 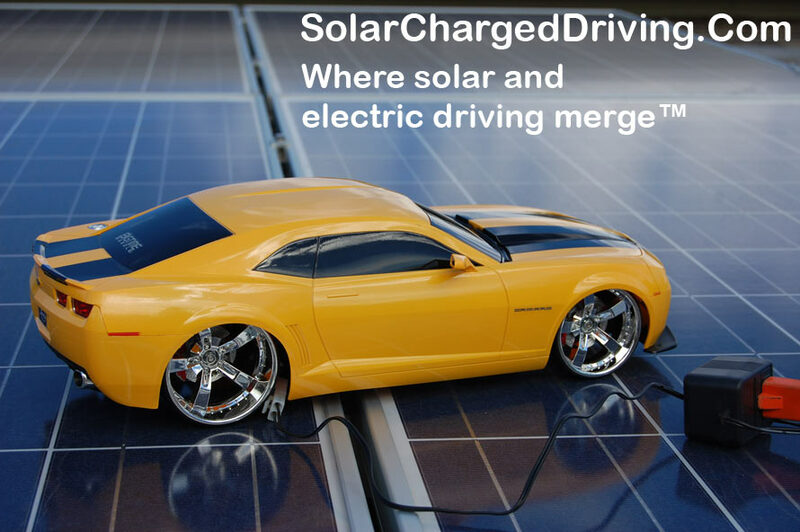 Zeller is interning at SolarChargedDriving.Com from Sept. to Nov. 2012. She is a senior at the University of Denver where she is majoring in Journalism and International Studies with minors in Photography and Economics. Zeller is from Ecuador and has been living in the U.S. since her first year of college. She hopes that one day she can work as a photojournalist or with NGOs, especially in the field of international health and development. She loves to travel and loves outdoor sports like hiking, mountain biking, rock climbing, and snowboarding. She also likes playing the guitar and enjoys dancing and music. In Ecuador, she volunteered to work with Fundacion Natura in reforestation projects and at the zoo with sick animals. Zeller has also volunteered with Habitat for Humanity and with other community service groups. This is great that you guys have such good information and websites. I live in Utah which I can equate to Colorado regarding weather, etc. I sell commercial, residential and nonprofit organizations solar solutions. This information helps me keep my customers and prospects up to date. My home solar system is 6.4kw and I own a 2017 Hyundai Sonata Plugin Hybrid.